Find winners and close them. Many reps feel overloaded with information. 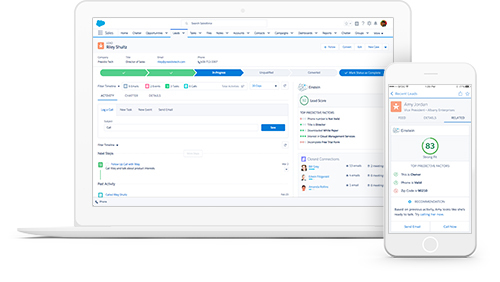 But Einstein AI helps find the best path forward based on what's worked best for your team in the past. It also keeps reps informed of important changes to their accounts as they happen.